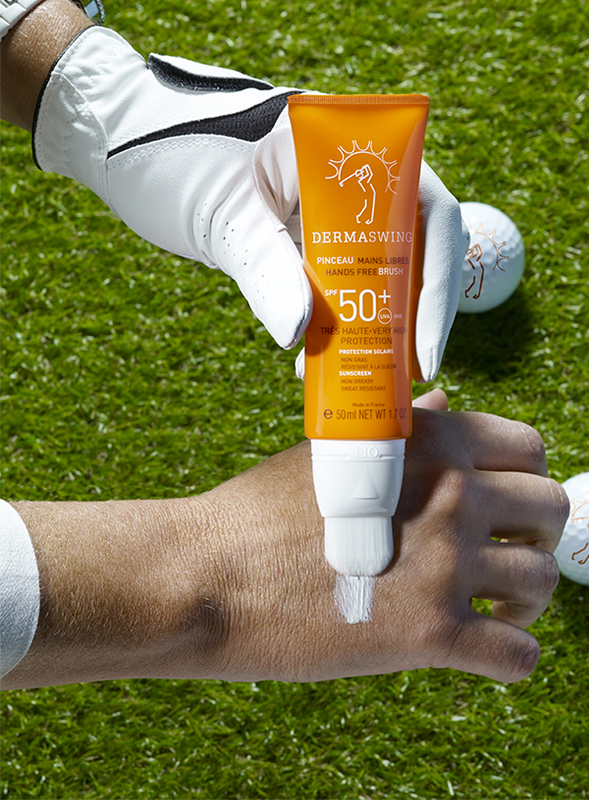 Because the game of golf is a demanding undertaking, because every details counts, DERMASWING innovative packaging let the golfer benefit from a high sun protection while keeping his hands, glove and grip clean and free of any sunscreen. The integrated sunscreen brush allows for a very smooth and even sunscreen application, even in more difficult areas such as ears, nose, eye contour, back of the neck and back of the hand. Its now very easy to re-apply the sunscreen while walking on the golf course, without even removing your glove.